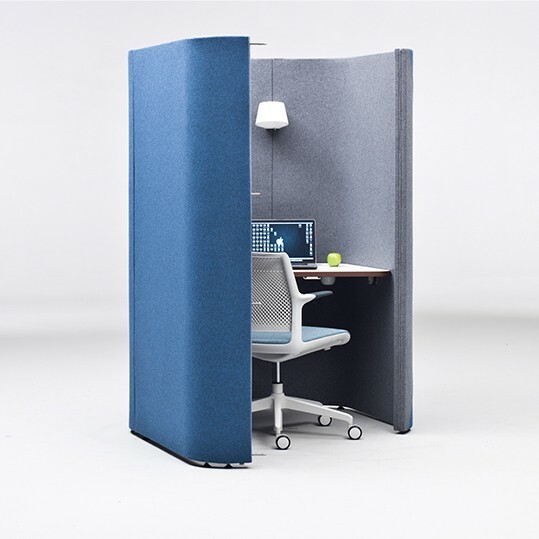 Single person acoustic pod which can provide a brief sanctuary from the hubbub of today’s open plan environment. 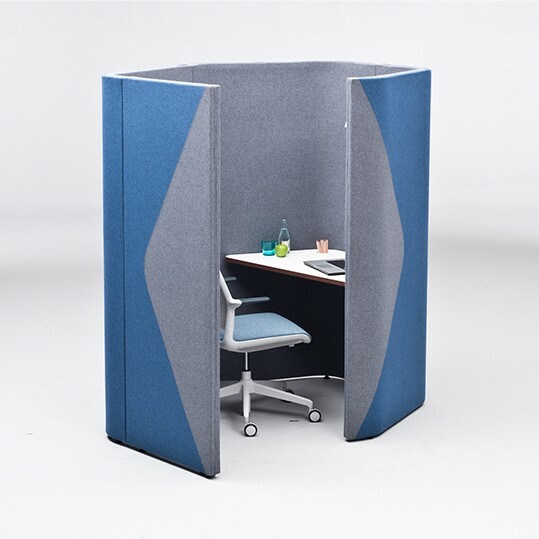 These pods can be deployed in numerous different situations for a degree of privacy when required. Integral steel frame for extra strength and longevity. 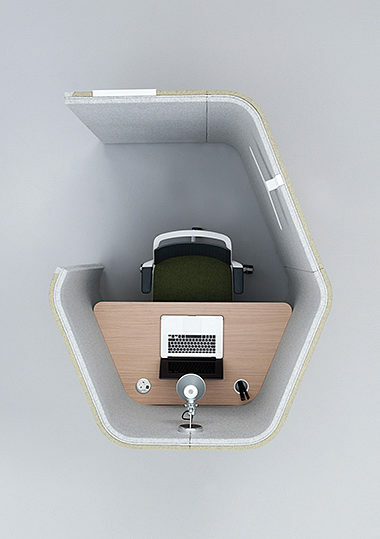 Defined space for individual work.